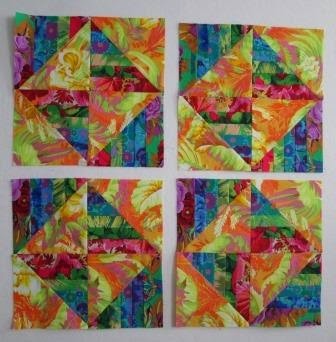 Here are 8 more blocks I am making for a block exchange. They would make a nice quilt just like this, but instead I am exchanging them all. I found a group on Face book that is the KFC Quilters Swap. 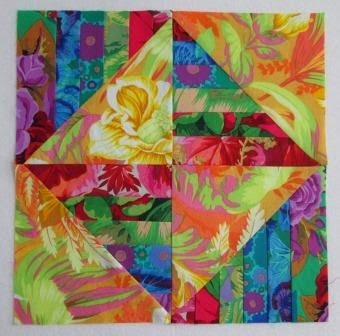 The first block exchange is closed and we are now making each other blocks using the KFC ( Kaffe Fassett Collection) of fabric. There will be other block exchanges later this year, if you are looking for one. I hope the ladies like the blocks I will be sending them. So far there have been some great blocks being shown. I was aiming for Bright on this block. I think I nailed Bright. Here is the 12" block all on it's own. The orange yellow fabric is the tropical print. 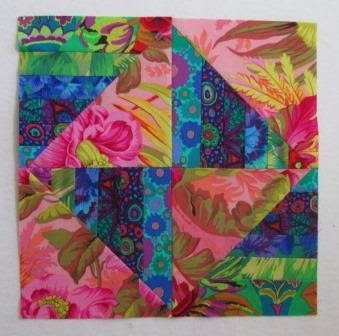 This one has a little more blue and the pink tropical fabric. 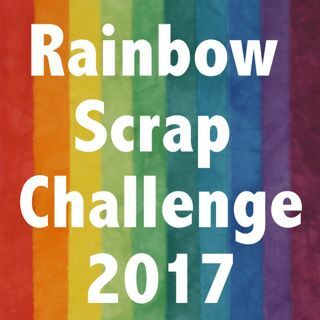 I will be making a few more in the coming weeks. Beautiful blocks, and of course, stunning fabric. Hey Cathy!! These are gorgeous! I know that I can't have all the blocks...but I want them :) I left you a message on FB! I'll be starting another set of blocks soon! Oh I think your blocks will be a HUGE hit!! Beautiful!! 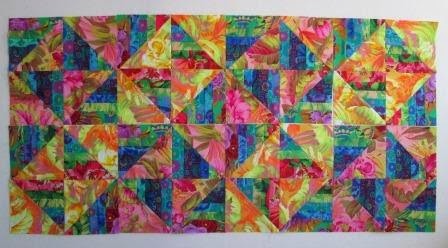 You are right, they would make a very beautiful quilt! Wow! I would want to keep them, too, and make a quilt with just your blocks. They are beautiful. I LOVE Kaffe fabric, so these are right up my alley!